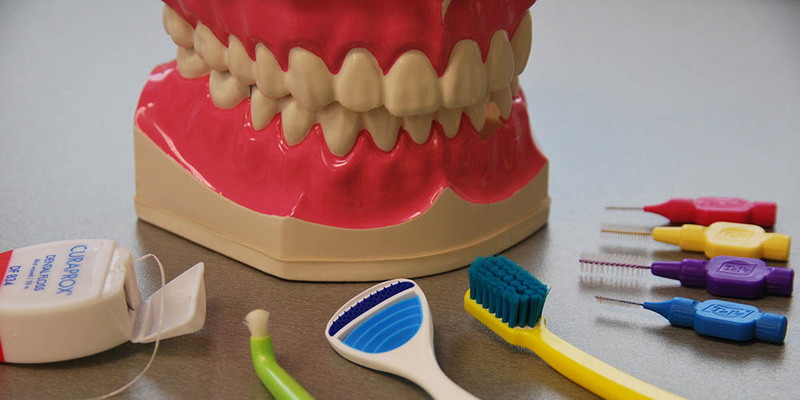 We talk about it often, but brushing, flossing, and mouthwash make up the three key pillars of dental health. All too often, flossing gets left out of the picture for some people, and this can really impact their overall dental health. These days there are modern devices that make it easier to keep up on brushing and flossing. Just like electric toothbrushes, water flossers or waterpiks are a high-tech way to ensure you get your daily flossing in. You may wonder how effective a water flosser is vs. traditional floss. Let's compare the two and see which option makes more sense for your needs. While traditional floss uses nylon or other materials in string form to clean between your teeth, water flossers utilize jets of water propelled from a nozzle to clean food particles, plaque and bacteria that reside between your teeth. Water flossers draw clean water from a reservoir in the device, and the user must fill it regularly to ensure the device operates properly. Most water flosser heads are compact and can reach teeth easily. The device does require a dedicated outlet, and they are rather difficult to travel with. Primarily you'll only use a water flosser at home, and you'll need to use string floss whenever you travel. There are certain circumstances where a water flosser might be the better option for you. People who have braces absolutely benefit from the addition of a water flosser because it is difficult to use traditional floss. People who have crowns may also find the water flosser easier to use around crowns than traditional floss. Those who have trouble reaching certain areas of their mouth for flossing will also benefit by adding a water flosser to their routine. The same goes for those with balance or hand stability issues. Finally, a water flosser is gentler on your teeth than floss, and it will cause less irritation and bleeding. While it's easy to see a water flosser is generally easier to use, that doesn't mean it is the better option between the two. You receive a lot more surface pressure when traditional floss is used correctly, and this means more bacteria and plaque is removed with traditional floss vs. the water flosser. Using water to remove bacteria and plaque just isn't as effective as string floss. Another disadvantage comes in the price of a water flosser. While traditional floss is very inexpensive, a water flosser could run up to $100 or more. For those on a budget, the addition of a water flosser, especially when it's known that water flossers are less effective, can be a tough sell for some families. In short, a water flosser won't replace traditional floss for the best clean possible. You still need to get in there between your teeth with string floss and use the proper technique. Make sure to bring the floss completely to your gum line, use a "C" shape on one side of the tooth, and smoothly drag the floss up to remove plaque, food particles and bacteria. Make sure to always use a fresh section of floss between each tooth. Using the proper flossing technique can be tricky for some, but it is well worth learning. We're always happy to show you and your family the proper technique when you stop into our office for a checkup. A lot of tools help support dental health, and a key tool is floss, be it a water flosser or traditional floss. While a water flosser may be extremely easy to use, it has yet to beat a well executed cleaning with traditional floss. There is one option we haven't examined yet - using both a water flosser and traditional floss. The combination of the two just might offer an advantage over just traditional floss if you can afford both. Really the biggest thing to focus on is flossing itself. If you can't floss with traditional floss, be sure to use the water flosser, and vice versa. Flossing will ensure you're getting the best clean possible day after day. If you still have questions about water flossers vs. traditional floss, we welcome you to stop in for a checkup at Grace & Leedy Family Dentistry. Image one and two and thumb courtesy of Wikimedia Commons.